During the Easter weekend, many museums and monuments of Milan will remain open for the occasion. 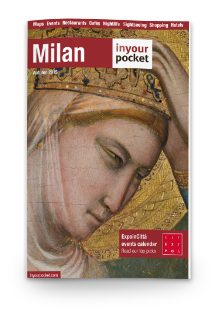 The MilanoCard Group will keep its monuments open with special events and times. With the arrival of summer, who would not want to enjoy a fresh beer while admiring the Milan skyline? At Pasquetta you can take part in the Beer Festival on the Highline Galleria, the path on the roofs of the Galleria Vittorio Emanuele, created in collaboration with the Sensolibero Srl Brewery. explores spirituality, experience and human perception. It all stems from both Eastern and Western art, Zen Buddhism, Islamic Sufism and Christian mysticism. The protagonists of his works are people, bodies, faces. Do not miss the opportunity to visit the exhibition at Easter Monday! Click here and book. 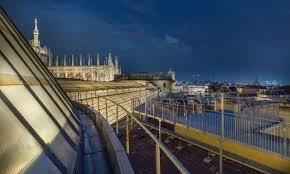 Under the Milan State University (Università Statale di Milano), centuries of Milan’s history are hidden. 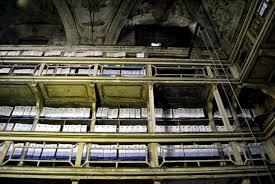 A few months ago, it is possible to take a guided tour of the Ca ‘Granda Archive and Burial ground. The Ca ‘Granda Historical Archive, which has about 3 km of documents, hides important finds among its shelves, including the founding act of Francesco Sforza and an Egyptian papyrus dating back to the nineteenth dynasty. Since the foundation of the Ospedale Maggiore, the mortuary service has been practiced. The burial ground became more and more extended for two reasons: hospital deaths were not allowed in churches, those who were buried in the hospital cemetery enjoyed indulgence. Check out the Ca’Granda – path of secrets, click here.